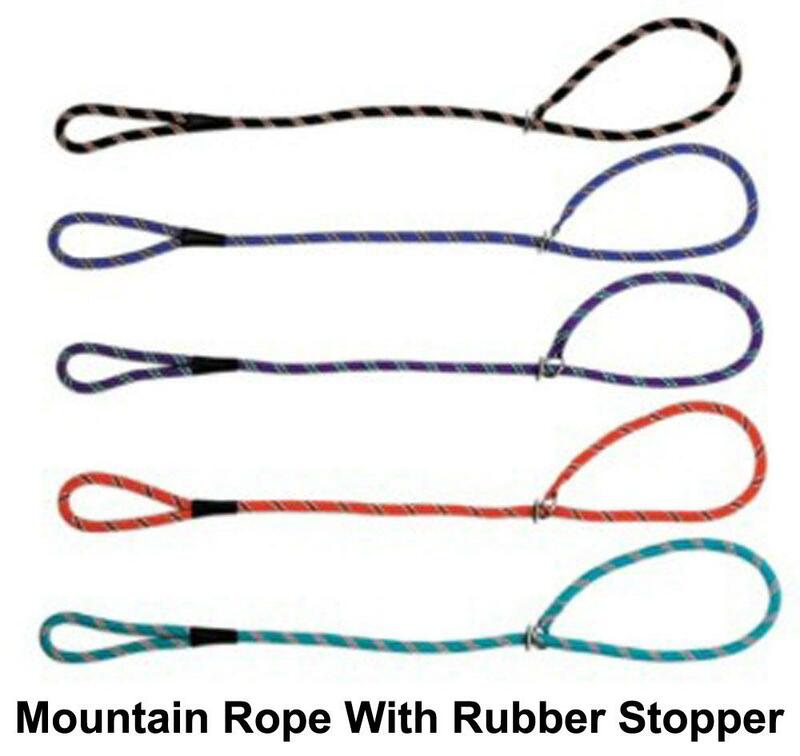 Manufactured from quality rolled mountain rope material for durability and long service life. 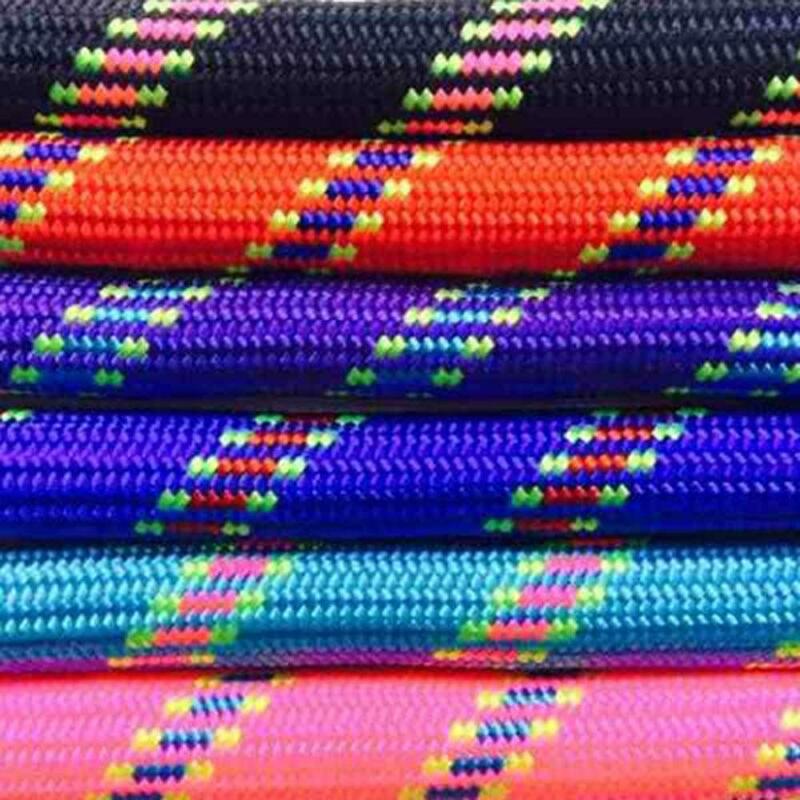 Soft and pliable nylon which is braided over a round nylon core. All fittings are bright chrome and fully stitched with syntetic leather binding. Hand loops are joined with synthetic leather binding. Functional and very strong. Discreet but sturdy snap hook. 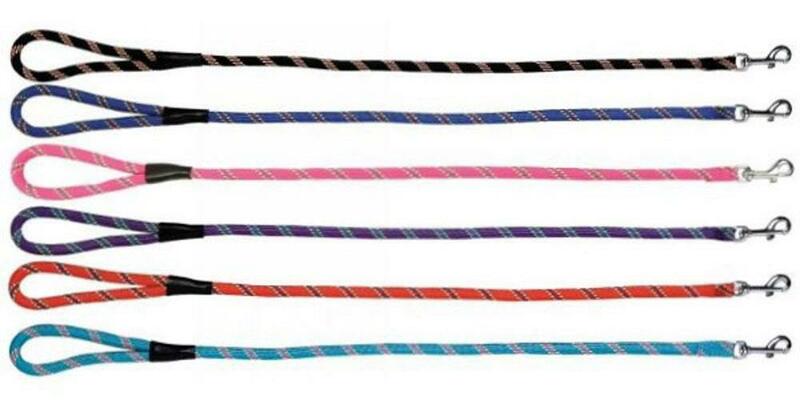 These leads will enhance any show team in the ring.